Need to Purchase Your Equipment? 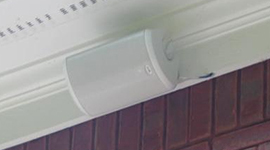 Save Some Money by Using one of Our Discount Ids on your next installation! 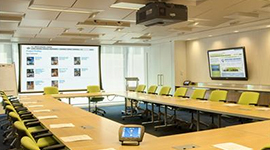 Installing the many different components needed to create a fully-functioning home theater system or putting together a system for your conference room can be a rather daunting task if you are not adept at installation jobs. Even worse is going through the trouble of installing your system yourself only to find that these do not work the way they should. 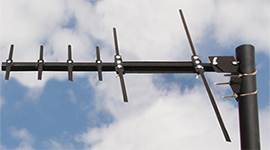 You might even find yourself with a precariously mounted television or an improperly wired speaker system which may cost you extra time and money to fix. Why put yourself through the stressful process of doing it yourself and the costly need to fix errors that are made along the way? 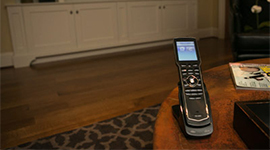 For your installation needs, you should get in touch with Sevens Home Theater. We have everything you need to properly install your audio/visual systems, whether for your home, your office or your business. We have the professionals to help you get these done safely and properly. We can do your installation jobs for you and more. 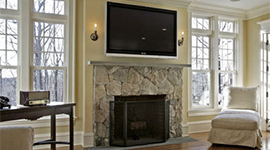 You can contact us for your standard wall TV installations and above-fireplace TV installations. 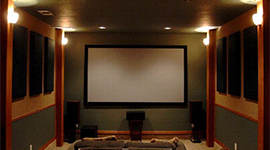 We also do home theater installations, projector installations and indoor/outdoor speaker installations. 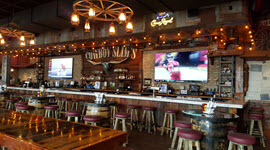 All of these we can do for you, giving you a stress free and expertly installed entertainment system. Sevens Home Theater is one of the best at putting together and installing audio/video systems for a wide variety of purposes. From home needs to corporate needs to bar and restaurant needs, we can help you find the best possible units and install these for you with a satisfaction guarantee. We ensure that everything is working as they should and we even have you test these systems out before we conclude a job. Not only do we test your systems after installation to ensure that you are satisfied with the work that is done, but we also clean up after ourselves and we don’t leave any debris or garbage behind. We pride ourselves in doing more than a good job – we pride ourselves in doing a great job and cleaning up after an installation is one of the ways that shows this. Contact us today for a free in-home or in-office assessment and estimate. 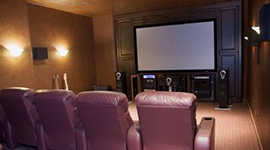 We will gladly help you find and install the best possible home theater or corporate audio/video system suited to your needs.